I knew with Thanksgiving right around the corner (literally this weekend!) I wanted to spruce up my regular kale dish and turn it into a spectacular side to bring to my sister-in-laws for everyone to enjoy…but I didn’t know it would turn out to be THIS GOOD! 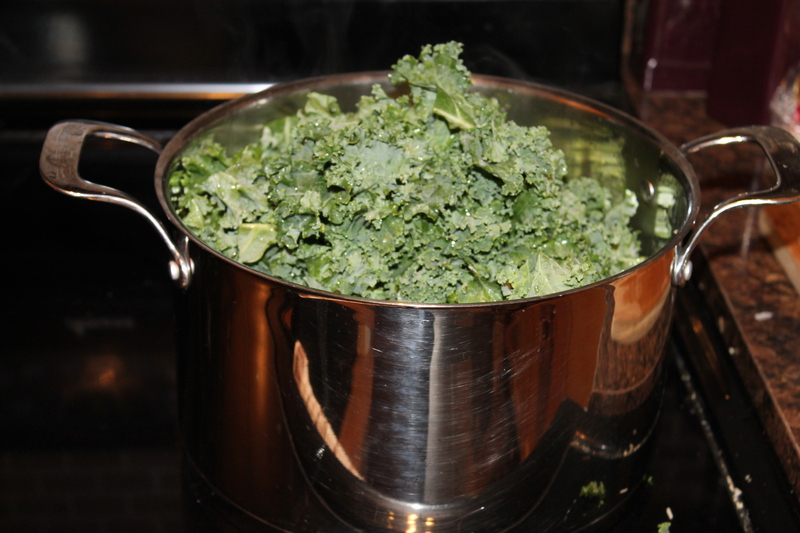 I am telling you, if you have never tried kale, or are looking for a new recipe to add to your collection THIS IS IT! It is very easy to make (less then 30 mins from prep to finish!) and even easier to enjoy! Now keep in mind the recipe below is for a larger group, you can modify it to suit your needs. set heat to medium and allow them to toast slowly so you don’t burn them! 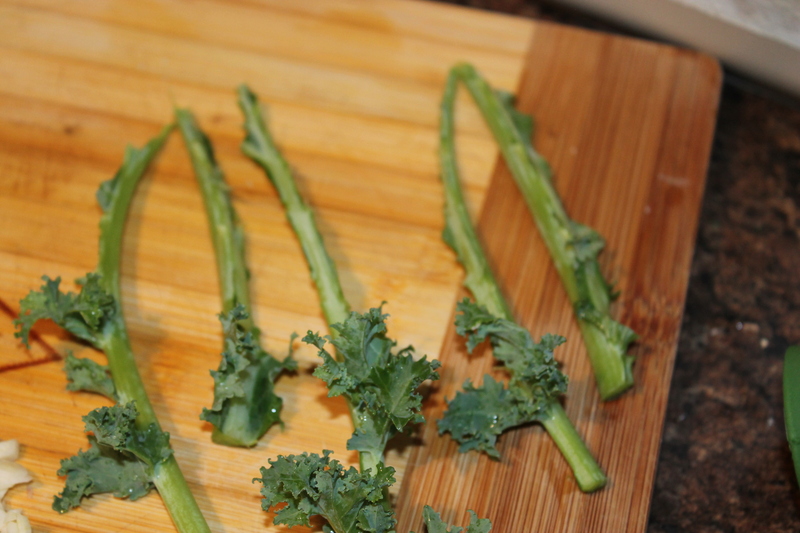 This is the stems of the kale, you want to make sure you remove these (As they cause it to be chewy and slightly bitter). You can easily remove them by placing the kale between your index and middle finger and using your thumb to slide down the rib. “Potta Kale” this was only about half of the kale, as I mentioned you want it to wilt down before adding the remainder. Can you smell the sweetness here?! Sorry for the steamy picture, I wanted to show you how much it had wilted down at this point. 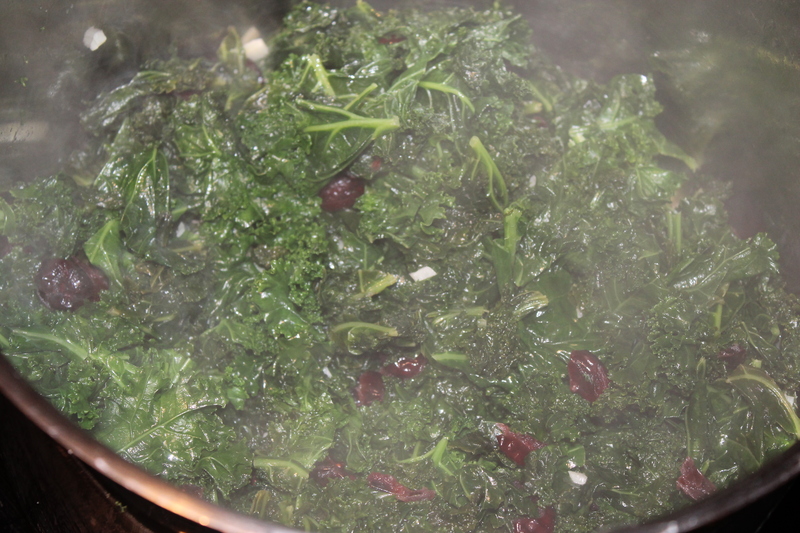 Stir all those cranberries in and let their tangy sweet juice soak into your kale. 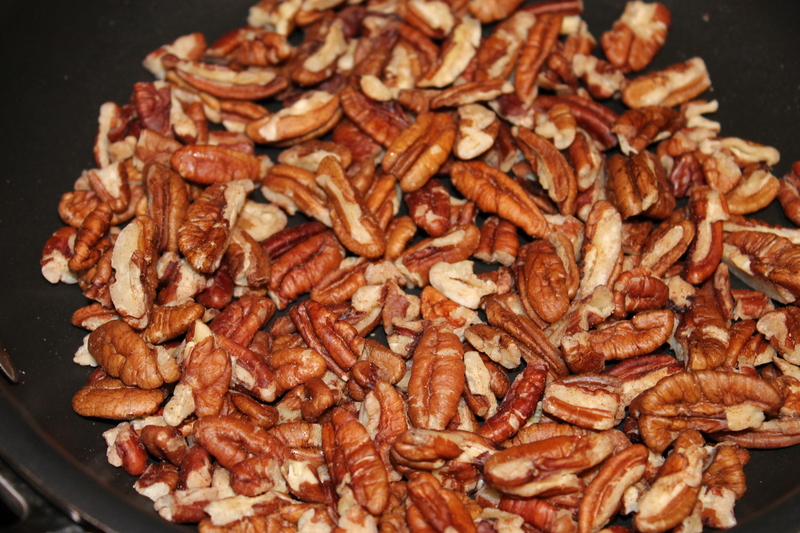 The pecan smell in my kitchen was heavenly! As soon as you begin to smell their nutty flavour you want to pull them from the heat so they do not burn. My mouth is watering already, looks yummy!